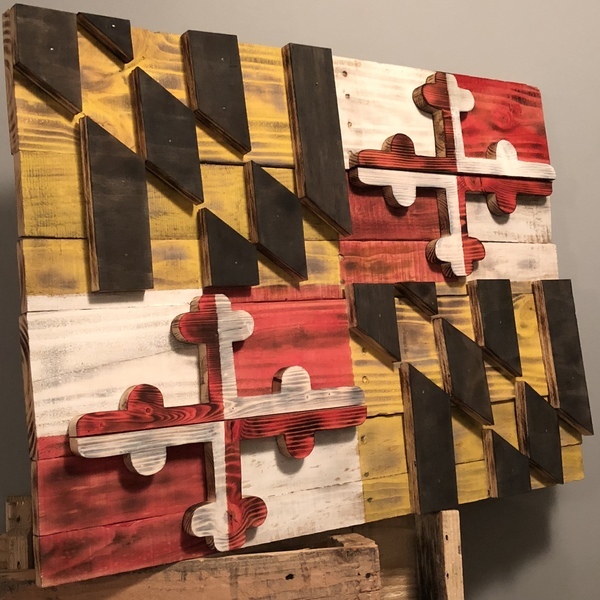 We made 2 Maryland flags out of reclaimed pallet wood. One in standard colors and one in Baltimore teams colors. This is so impressive! 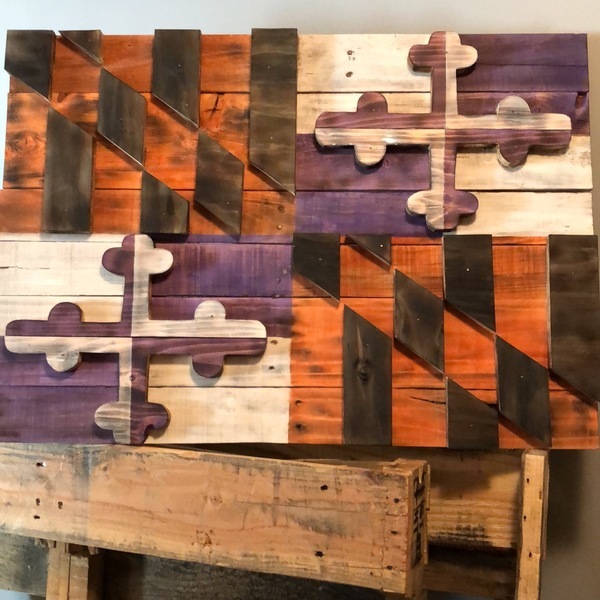 The color contrast is awesome!